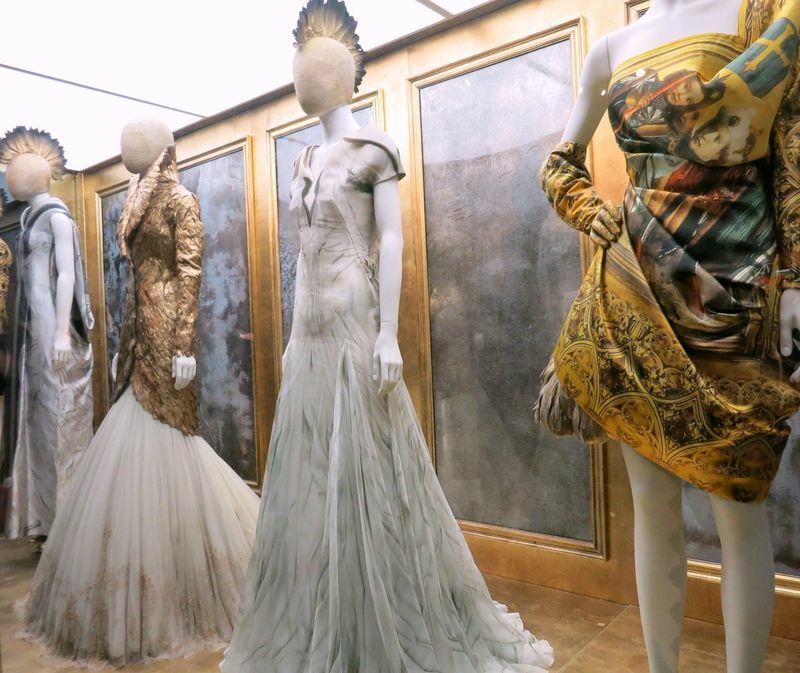 Last week I went to the press preview for Savage Beauty a retrospective of Alexander McQueen’s work held at the V&A Museum. It’s immense, a continual juxtaposition of beauty and grotesque, of delicate and dominance. Everything about it – the music, the lighting, the layout – makes it quite a spectacle. I love the V&A fashion exhibitions, they always seem to be this museum’s winners. However, be prepared for some slight over-crowding, and tickets tend to get booked up quickly. 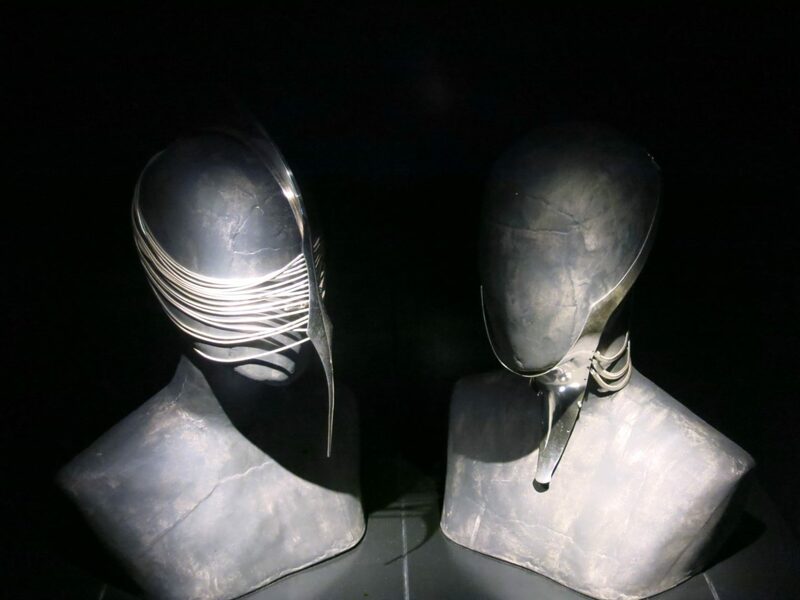 Savage Beauty is worth a bit of jostling, the dimly lit rooms add a gothic air that’s perfect for this designer, and the classical soundtrack is stirring as you walk round. Now and then you hear the late McQueen’s own voice and it’s quite eerie. 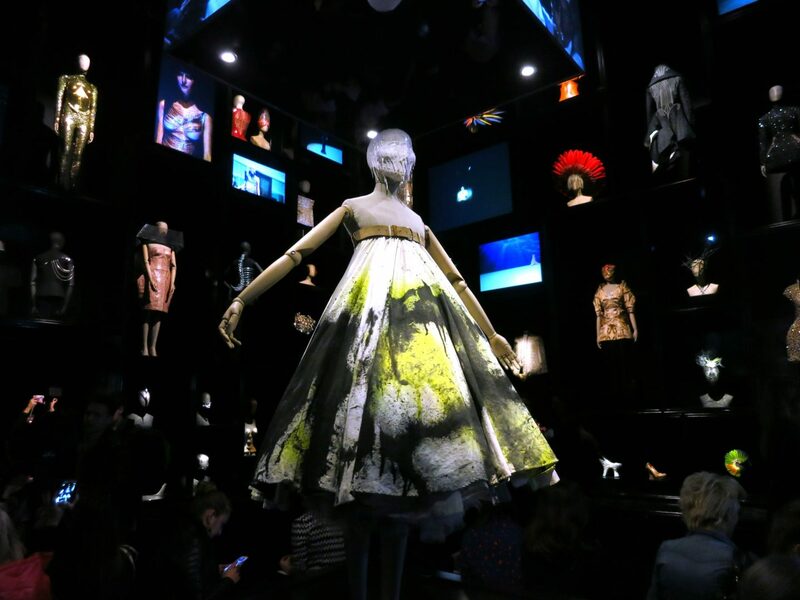 Highlights of the show are a reconstruction of Pepper’s Ghost (Kate Moss projected in ghostly hologram form), and the Cabinet of Curiosities (above), a vast room of stunning headdresses, shoes, and garments, including the dress in which Shalom Harlow was famously spray painted by robots during a 1999 catwalk show. It’s a fitting spectacle for a designer renowned for his fashion shows which featured giant chess boards, fire, rain, and other amazing sets and effects. 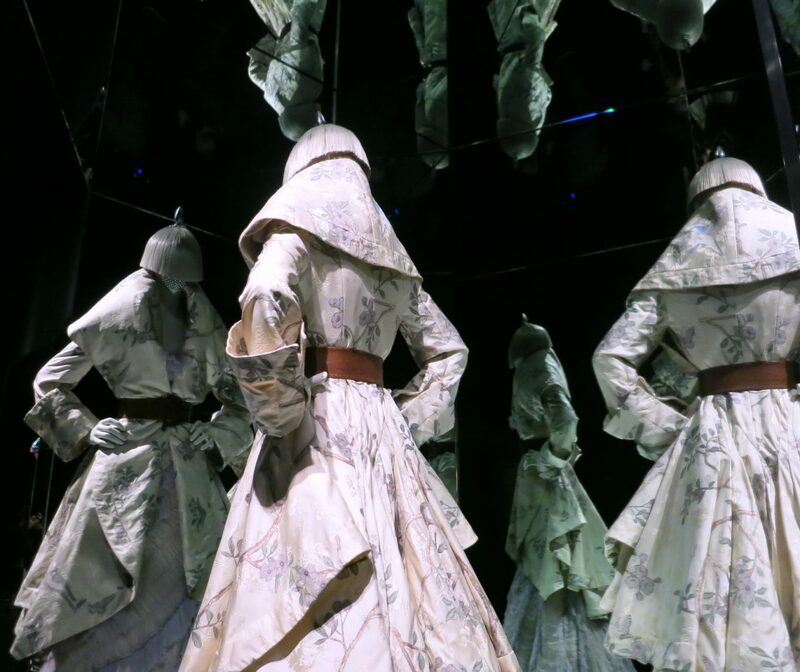 McQueen’s designs are striking, his background in theatrical costume making is evident. He plays with shape and texture, giving each part of the retrospective a unique aesthetic. Themes of religion, nature, and identity are explored; you’re left feeling amazed at how someone so young could have created such an extensive and brilliant body of work. 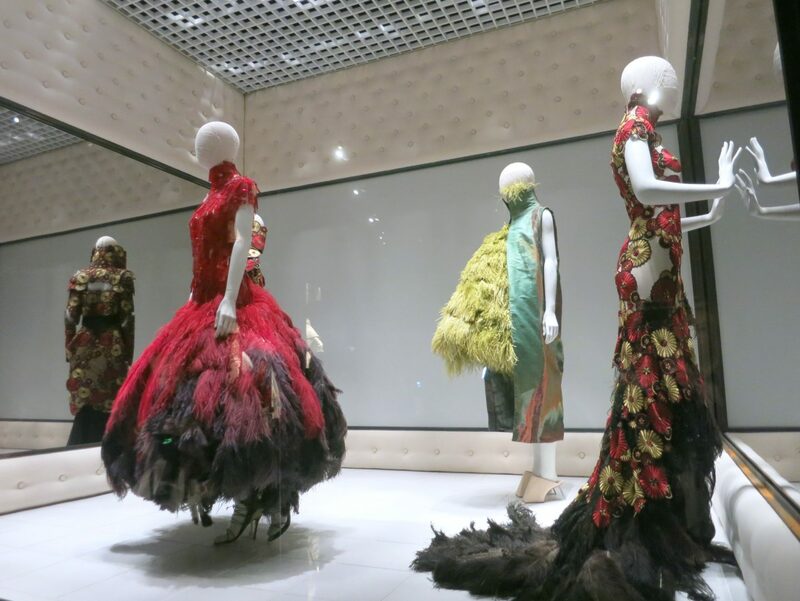 Savage Beauty is on until August 2015 and includes a programme of talks and events. Make sure you book a ticket and prepare to be moved by fashion, music and theatre.